The itinerant teacher will be expected to give as much thought to the economic side of agriculture as he gives to the matter of larger acreage yields. There’s a lot to chew on in Congressman Lever’s statement. With the creation of Cooperative Extension, Congress intended for educators to be mobile, traveling to farmers for the purpose of teaching the most economical methods of distribution as well as the best methods of production. There was an expectation that thought be given to what amounts to a curriculum for farmers. Following from that is the expectation that thought be given to how to motivate farmers to engage in programs that provide value to their lives and livelihood. You might think that there is an easy, single answer to what motivates farmers to engage in worthwhile Extension programs: Profit. However, there’s more to it than that. In fact, we may be inadvertently presenting programming in ways that actually lead to disengagement. 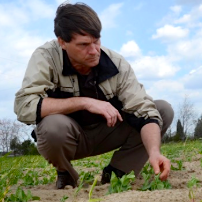 Farmers, like all people, have a desire for mastery and sense of achievement. There’s much a farmer needs to know in addition to growing crops and the gathering of that knowledge over time is rewarding to the individual and beneficial to society. As professionals working in agriculture, do we consider farmers’ personal motivations for learning when teaching improved practices or new technologies? We should. Note that three of the top five ranked motivators for young farmers to learn were traits intrinsic to a farmer’s personality (ambition, personal desire, or satisfaction from achievement), not external motivators (immediacy of need or usefulness). When farmers were asked how they prefer to learn, they responded: “by hands-on activity”; “with a variety of methods”; “individually”. This is consistent with our experiences as ag professionals. Clearly, farmers are motivated by profit. Ag professionals tend to focus on the appeal of external factors, like profit, to motivate farmers but for broader, deeper engagement we should consider farmers’ intrinsic, personal motivations as well. In addition, we should avoid unintentionally discouraging engagement. 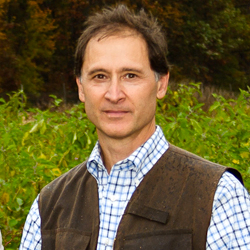 In The Idea of Crisis in Modern Society, R.J. Holten said, “…we are told that ‘crisis’ threatens us on all sides.” Often, ag professionals attempt to attract farmers by presenting urgent, need-to-know one-off programs that may inform farmers of a “crisis” without presenting coping skills or options for resolution. Initially attendance may be high, but a steady stream of crisis-talk can lead to Crisis Fatigue and, eventually, Impermanence Syndrome. By focusing on crisis and ignoring other motivations, such as “satisfaction from achievement”, we discourage engagement with worthwhile programs. 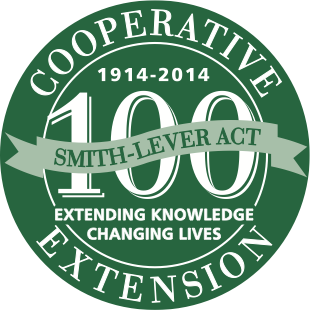 A century ago, Congressman Lever spoke about the creation of a new Cooperative Extension Service – an information delivery system that would shape our nation. Increasing profitability and sustainability of NJ farmers by teaching the most economical methods of distribution and the best methods of production is important; motivating farmers to attend those learning activities requires equal effort. An awareness of the complexities of farmers’ intrinsic and extrinsic motivations is key to every ag professional’s successful transfer of knowledge.